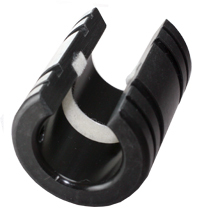 Black Racer holds the highest acceleration and system speeds we know of for a linear sleeve-type, ball or roller bearing. 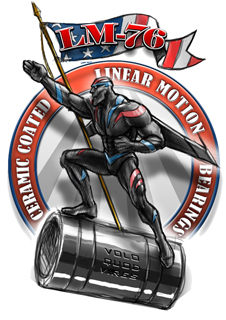 ” Volo Quod Viris” Fly with Power/Strength. That says it all. broken all test records for linear feet of travel: 100 million! 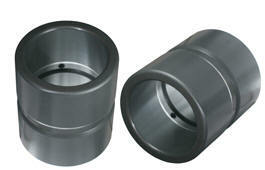 ™ Ceramic Coated Bearings for High Acceleration and High Speed! 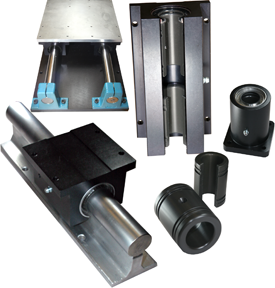 the bearing(s) models you require. 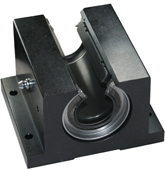 Works where others fail: glass, granite, chemicals, heat & shock! 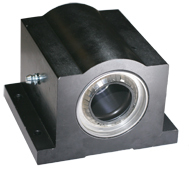 NOTE: LM Ceramic Coated Linear Bearings™ require lubrication: light oil or grease.